This listing is for the Brass Measured Spouts which fit the European made reproduction Colt .31 cal Baby Flask. 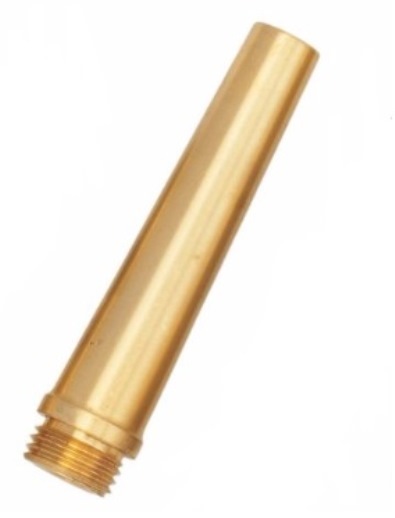 The Spout has an 8-.75mm thread and a 25 Grain capacity. The Spout can easily be cut shorter to reduce the capacity to a smaller amount.